As you know, we currently have the SILVER award for our travel plan but we are aiming for Gold! Please visit this page regularly to see how you can support us on our journey! Do you live local to the school? Could you support us in making travelling at and around the school safer for all? Can you attend meetings at the school and be the voice of the local residents? As you are aware, we are accredited with the SILVER award from TFL for our work towards making sure our school community travel to school in a sustainable and healthy way. Being a SILVER school, we are currently among other London schools who are setting high standards to inspire others to transform travel habits, fully engaging the wider community to promote best practices, and seeing a measurable reduction in the number of journeys made by car every day. A small proportion of you bring your child to school daily by car. To alleviate the associated problems of congestion and pollution, we would be interested in hearing if you would like to be involved in a car share scheme. This would involve working with other parents who live in your area and want to share picking up duties. e.g, One parent does the school run on Monday, another on Tuesday... If this would be of interest to you, please come to the front office and place your name on our car share list. I f we get a satisfactory response, we will contact you with the names of others in your area who would like to be involved in this car share initiative. The JRSOs created a PowerPoint to educate the children on how they can travel to school sustainably. They created this Powerpoint following on from the active travel surveys that were carried out on the playground last week. If you would be interested in your child coming to our Breakfast Club or having a hot school dinner, please see our School Lunches page. This website will give you lots of information about how to stay healthy and happy. From the information here you will learn about what foods you should eat and what you need to avoid. It will also tell how staying active will help both your mind and body! 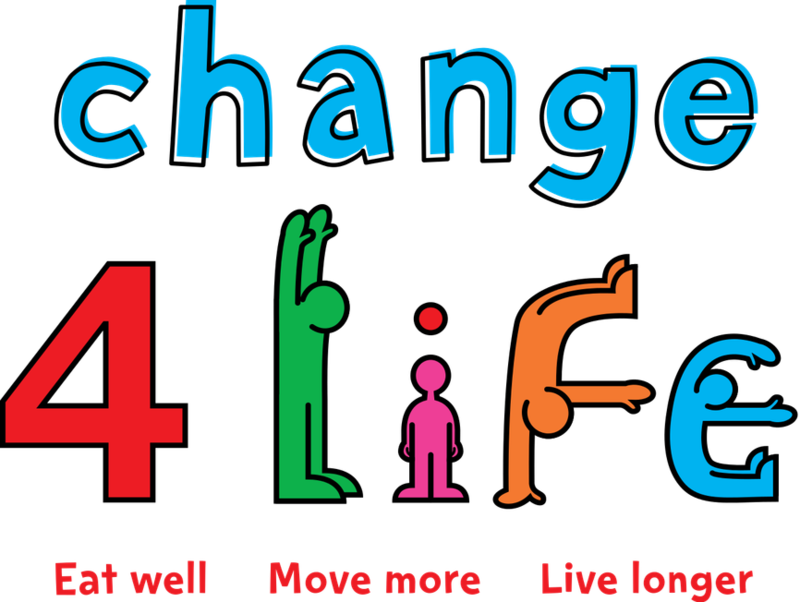 Click the image and it will take you to the change4life website!